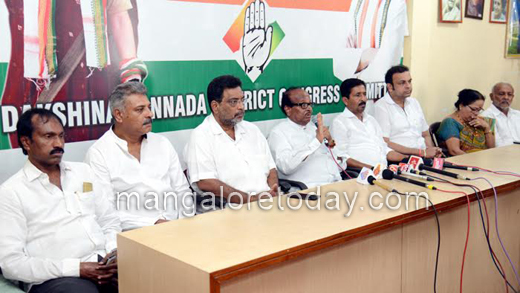 Mangaluru, Feb 10, 2016: Prime Minister Narendra Modi is answerable to the people as to why he is silent on the statement made by the 26/11 Mumbai attack mastermind David Headley about the role of Pakistan in the attacks, said senior Congress leader B Janardhana Poojary. Speaking to reporters at the District Congress Office on February 10, Wednesday, he questioned what happened to the promise made by Modi and his party leaders prior to the elections that they would give a befitting reply to Pakistan if they were elected to power. He appreciated Prime Minister Modi for visiting the Delhi Hospital were Lance Naik Hanumanthappa who has survived the Siachen avalanche is undergoing treatment. "It is a humanitarian gesture," Poojary said. He also stated that Chief Minister Siddaramaiah has erred by not visiting the residence of Hanumanthappa in the state. 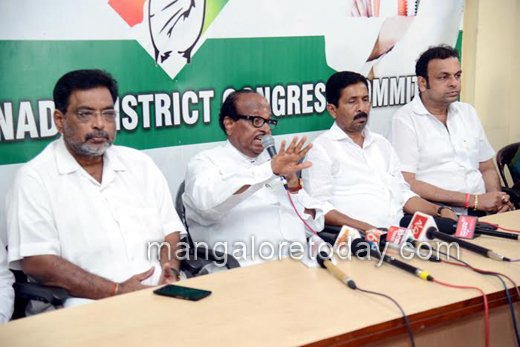 Continuing his tirade against Modi after a brief praise, Poojary said Modi was behaving like an autocrat by not taking the opposition parties as well as chief ministers into confidence on various issues. He even wanted to know why the PMO has been excluded from the RTI Act. Hilda Alva, Mahabala Maarla, former mayors and others were present on the occasion. There is no need to comment on Modi regarding Headly. Our PM Talks only where needed and not unnecessarily . Explanation is not required to the Congress. The motto of every party is criticizing others. Poojary’s is right from some angle of his thinking.